You can close down where they, (extremists), meet, and then keep on top of them; that is one way. The other alternative is to keep them in one place, leave places where they frequent open, and allow them to carry on spreading hate, but build intelligence up from here. So, which is the best way? The third alternative is to deport extremists. The Pakistan visit to London 3rd August 2010 is on! Mr Cameron continued that the world could not “tolerate in any sense the idea that this country is allowed to look both ways and is able, in any way, to promote the export of terror”. There is terrorist activity in Pakistan. So Cameron has a point. Let’s face it there were strong Pakistani links to the Mumbai acts of terror a few years ago. I don’t see Indians going into Pakistan to shoot and bomb. The question is, are the Pakistani authorities doing enough or all they can to combat terrorism? 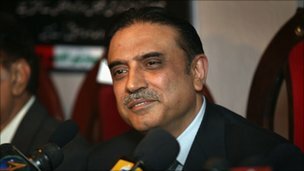 Should The Pakistan premier have come to the UK or should he have returned home; bearing in mind the devastating floods that have hit his homeland? Perhaps the Pakistani leader could have postponed the visit, or perhaps he will cut it short; and do what is right and proper; return to the people who need him now. Here I will try to give an insight into some roles I feel will go under the new coalition governmental regime. The first role I am going to focus on at a time of shrinking finances is the most important crime cutting role of recruitment officer. Work 0800-1600, Mondays to Fridays; with weekends off and lots of half days. Be able to write up to 5 emails per week to evidence their use of the English language. Doesn’t really matter what the content is. Be able to engage communities by holding recruitment fairs at recognised religious places of worship and other centres. This is despite the fact that some hard to reach communities will not attend such establishments. Ensure they have one big van, which carries all their bits and bobs, is fully marked up with “Recruiting Team,” yet sits idle most of the week. Ensure that they meet with potential recruits and coach them appropriately to pass the recruitment process. Coaching includes checking their application forms and re-writing entire paragraphs or re-writing the whole form. But this must only be done out of the eyeshot of both the HR Director and the Inspector in charge of the Team. If they are ever asked whether they do write forms for candidates they must strongly deny this. The Inspector in charge of the team is to attend all Force Diversity meetings and nod and smile. Each team will operate with One Inspector; 2 PC’s, one of whom will be Black and or gay; the other female and/or gay; and a part-time administrative police support staff member. The staff wages of each unit will be approximately £120,000. They must also always smile and be happy. And yes, nod their heads like their Inspector does. At a time when the front line are facing cuts and there is little or no recruitment; recruitment officers will work alongside Specials training and second as police trainers. Unbelievable, but true. What really do recruitment officers do? Nothing really. Those that want to join the police, irrespective of their background, will work hard to get in. Recruiting officers are just another fancy word for building trust; and that is all. But this is not the way to build trust! 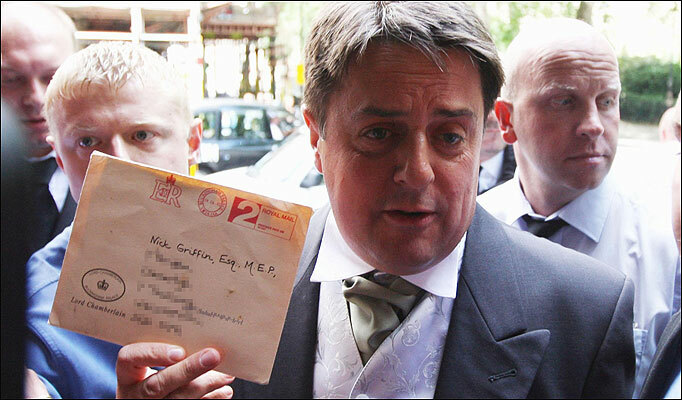 Last week Nick Griffin was shoo’d away from the Queen’s garden Party. This caused a bit of a chuckle. Queen revokes invitation to right wing MEP. Anti racism 1 – BNP 0. Sorry but Griffin outplayed his welcome by politicising the invite. I don’t know too much about this case other than the fact that the CPS have decided not to prosecute the officer involved in pushing Ian Tomlinson. The issue here seems to be that there was not the prospect of a conviction for manslaughter because expert opinion was mixed as to whether the push caused the death or not. The PSD team will be quaking in their heels; just who is going to deal with this inside the Met? I guess the officer will be subject to discipline; the question is; will this result in the loss of his job? There must be a reason, a build up as to why he pushed Tomlinson; there must be. What the TCC could have said? “I would like to read an official statement; thereafter I will be happy to take any questions, at which point I will try to answer any issues raised. At 7pm yesterday police discovered Raoul Moat near the riverbank in the Rothbury area. At this time he was armed. Negotiators attempted for several hours to speak with him in order to bring Raoul Moat into safe custody. However, this was not possible. Raoul Moat appeared anxious and disturbed throughout our negotitations with him. At 1.15am Moat took his own life. During the last moments officers discharged taser; no other firearm was used by the police. A short time later, at hospital, Raoul Moat, was pronounced dead. The death of Raoul Moat has now been referred to the IPCC. Since the tragic incidents where Raoul shot his ex girlfriend, shot and murdered her current partner, and shot and injured one of my patrol officers, Northumbria police has been pushed to the limit of service delivery. Raoul Moat has left a mark on the history of Northumbria and the Rothbury area. However throughout this tragedy our priority has been to protect the public and deliver our normal services. (1) This isn’t an OSPRE scenario TCC. (2) You don’t need a cue card. (3) You can hold eye contact with the press. (4) Hair should be neat and tied back. (5) Please ditch the words, “It would appear,” of course it appears…. (6) Please ditch the words, “From the information available,” of course you are speaking from the information you have! Nuff said about Bramshill leadership courses.